"A true master of apocalyptic fiction, Robert Gleason has written a gripping and frightening tale on how skillful terrorists could use stolen nuclear weapons on our own cities. His research is devastatingly detailed and shockingly realistic. We should be scared, all of us--very scared.” —William S. Cohen, Former Secretary of Defense and New York Times bestselling author of Collision. “Bob Gleason knows how to tell a story relevant to our times. The plot is realistic and believable. 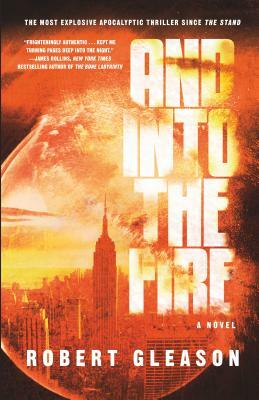 Readers will find And Into The Fire a suspenseful, high stakes, high-octane thriller to be a page-turning must-read.